Mix in a really, really big bowl and bake for over 12 hours or until giant toothpick comes out clean. Let cool completely. (This could take a while.) Cover with a small mountain of custard and frosting. Oven Door Size: 8ft. x 8ft. 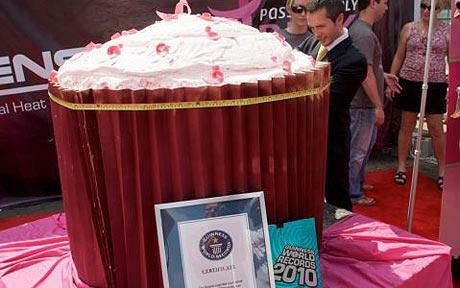 This entry was posted in cupcake, heavy, stuff that weighs more than me, sweet, world's biggest on October 3, 2011 by fatchicksings.